April 20, 2019 ~ Ranch Versatility Clinics-non cattle classes PARTICIPATION SPOTS FULL!! 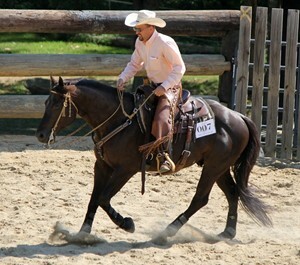 Geared towards riders wanting to compete in Ranch Horse classes and Stock Horse competitions. Classes addressed will include Ranch Rail Pleasure, Ranch Riding (patterns), Ranch Trail, and Ranch Reining. *Working on steady gaits and smooth transitions. *Addressing specific maneuvers such as the stop, sidepass, and spins. *Dealing with lead changes and refining transitions & steering. Clinic will begin at 9:00 A.M. Cost for participants is $150. PARTICIPATION SPOTS FULL!! Non-participants are welcome to come and observe at no charge. Registration is required for participants.